YOU WILL GET ALL ABOUT BIKE'S. WELCOME BIKERS. Suzuki's third bike GS 150R had undergone a slight makeover. The Heat and Zeus were not successful models and for the past few months the GS 150R is doing well on sales and it looks like Suzuki is very serious about this machine to make it a grand success. four colors. The colors are 1) Metallic Flint Gray, 2) Pearl Nebular Black, 3) Candy Dark Greenish blue with Pearl Nebular Black and 4) Candy Max Orange with Pearl Nebular Black at the rear end, the last two is available in dual tone. After acquiring ailing Kinetic motors, Mahindra is doing the same to the two wheeler industry what it did to the four wheeler industry.After a fantastic financial year 2010 where Mahindra managed to record sales of 70,000 units which included its 125cc powerscooters, the company is planning to foray into the immensely competitive and beneficial motorcycle segment. Current lineup of Mahindra includes only scooters and an addition of good motorcycles would further enhance these figures for the company. 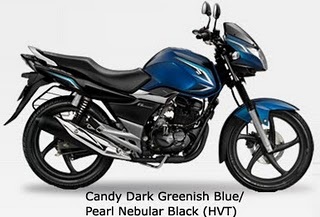 After a spiraling success of the stupendous 150cc FZ16, Yamaha launched another variant of the same bike with exactly same features albeit with different color tones and named it FZ-S. Fortunately for Yamaha, FZ-S was also a grand success despite the 3k difference just for a more funky color theme. After Honda, Yamaha and Suzuki, Kawasaki Heavy Industries has decided to set up their subsidiary in India under the name of India Kawasaki Motors. In fact, the official entry of Kawasaki has been done this Saturday. According to the spokesperson from the company, Kawasaki will set up a unit at their Indian partner Bajaj Auto Ltds Chakan plant in Pune, Maharashtra which will cost the company an initial investment of Rs 5 crore. Kawasaki will be helped by Bajajs expertise and know how of the Indian market and Bajajs current infrastructure at the existing plant would make things easier for this premium brand. Kawasaki launched their Ninja 250R in India in October 2009 which has witnessed great response from the crowd despite the bike being close to 3 lakh on road in the Indian market. Ninja 250R is sold through the CKD (Completely Knocked down Units) route currently and the bike is assembled at Bajajs Chakan plant in Pune. 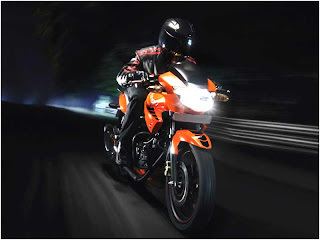 Kawasaki has a target of selling 1000 Ninjas in the Indian market for the year 2010. 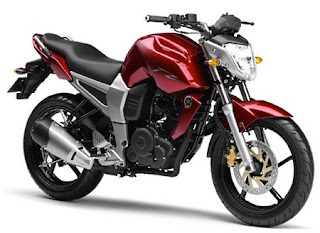 At the company’s to-be-built plant in Chakan, Kawasaki will assemble and sell their bikes which will be retailed through Bajajs solid marketing and delivery chains and would be available at Bajajs Pro-Biking showrooms in prominent cities of the country. This news signifies the keen interest of foreign giants towards the Indian market. Kawasaki’s official entry in the Indian market also marks an underthought about the possible launch of bigger and better bikes from their international portfolio which includes sportsbikes, tourers, cruisers etc. India’s second largest motorcycle manufacturer, Pune based Bajaj Auto Ltd, increased its shareholding in Europe’s second largest motorcycle manufacturer, KTM Power Sports AG from 31.92 percent to 35.67 percent. According to Bajaj the deal took an additional investment of 20 million Euros which is about 120 crore INR. Bajaj acquired 14.9 percent stake in KTM in 2007 at an investment of 300 crore, increasing it to 25 percent a year later. Since then Bajaj has been very keenly interested in this Austrian bike manufacturers business. A formal agreement was also signed by both the companies under which they will jointly manufacture 125cc bikes, which will be built at Bajajs Chakan plant in Pune, Maharashtra. These bikes will be exported to the European market and sold under the KTM brand. These bikes will also be exported to Sri Lanka, Bangladesh, Indonesia and Africa from India apart from the consumption in the country. Bajaj was also quick to point out about the development of the new joint venture and said products from the folio would be rolled out in European market by 2010 end. Indians will have to wait another 6 months to taste the KTM technology though. So the products would be out soon; a lot remains to be seen about the costing of the products from Bajaj as they would be manufactured here. Buoyed by a threefold increase, Japanese automobile manufacturer Yamaha is planning to make India as a hub to manufacture premium motorbikes for the global markets. This might be an outcome of the impressive triple fold increase in two wheeler exports from India. Yamaha witnessed a hug demand for exports from India which grew at 73 percent in the past year when, at the same period, demand for Yamaha bikes in India grew at 25 percent. Yamaha registered 66,904 units of two wheelers in 2010 fiscal in global exports against 38,639 units supplied in 2008-09. These units include Gladiator, FZ, YZF R15, Crux,Enticer, Alba and Libero G5 range of bikes from India. Yamaha exports bikes to countries like Kenya, Indonesia, Sri Lanka, Colombia, Bangladesh and Philippines from India. Though Yamaha did not reveal what premium motorbikes it is planning to manufacture here in India, this news indicates the grave interest of the firm and the lower cost of manufacturing advantage which India provides to companies. And if we are thinking in the right direction than this could mean cheaper and affordable super luxury sports bikes from the company which currently retail at insane price tags majorly due to the tax and surcharges associated with importing a bike from other countries. Mahindra 2 Wheelers, the two wheeler arm of the Mahindra Group, today announced that it has recorded sales of 70,000 units in F10 and has exceeded its target of achieving a rate to reach the 1,00,000 mark pa. 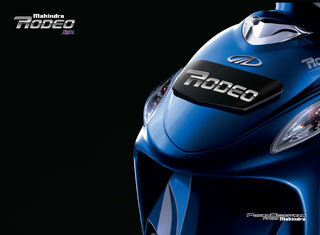 Monthly sales in March 2010 stood at 12,753 units, taking all three Power Scooter brands into account – the Mahindra Duro, the Mahindra Rodeo and the Mahindra Flyte. The company has witnessed a steady growth of sales in the past year. The average monthly sales for Quarter 4, F10 (Jan – Mar 2010) have been in excess of 10,000 units. Whether the tyre is tubed or tubeless mainly dictated by the construction of the wheel rims in the first place, the tyre itself in the second and the nature of the riding you do. Naturally, rims with wire spokes that go right through the middle of the rim need tubes while alloy rims that are cast as a single unit can accept tubeless tyres. Rims with spokes that attach to the rim on the side rather than the middle, can be used with or without tubes. Nitrogen reduces the running temperature of the tyre. The moisture content of nitrogen leads to a cooler running tyre, which is advantageous when the car or bike is operating at its maximum load and speed capacity. Nitrogen in tyres improves the ride quality. That gas is very slightly lighter than air and thus, benefits the tires in terms of un-sprung weight. It is assumed that Nitrogen increases tyre life. It reduces the operating temperature during times of load and speed and thus, enhances the life of a tyre. After renaming Unicorn, HMSI has renamed their 125cc bike Shine to CB Shine as well. This comes in the wake of renaming the whole motorcycle fleet to the ‘CB’ tag. However, similar to Unicorn, Shine is also left untouched majorly with a few changes here and there. As u all know that there was already a discussion on the same topic that generated quite a lot of heat, i have decided to give my unbiased review on the same. Lets start over quickly with some of the key points. Styling and Design: About styling and design being subjective and all, there is for once a clear winner here. The Yamaha FZ16’s very existence began with the styling package so there’s no surprise that it trumps the rather well-proportioned, but diminutive TVS Apache RTR-FI. From the sculpted tank (cover) to the fat tyres, the FZ drips style that begs for some serious attention. For asking questions or contact send your mail to (ask@hotbike.in). Awesome Inc. theme. Theme images by google. Powered by Blogger.